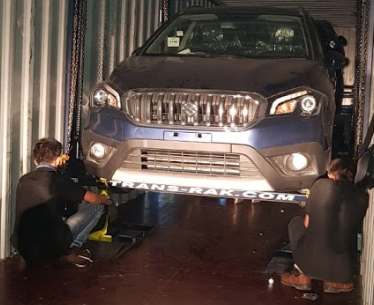 Trans-Rak International launches the new EL-RAK which is an exterior loading cassette system for loading all types of vehicles in any size of ISO shipping container. 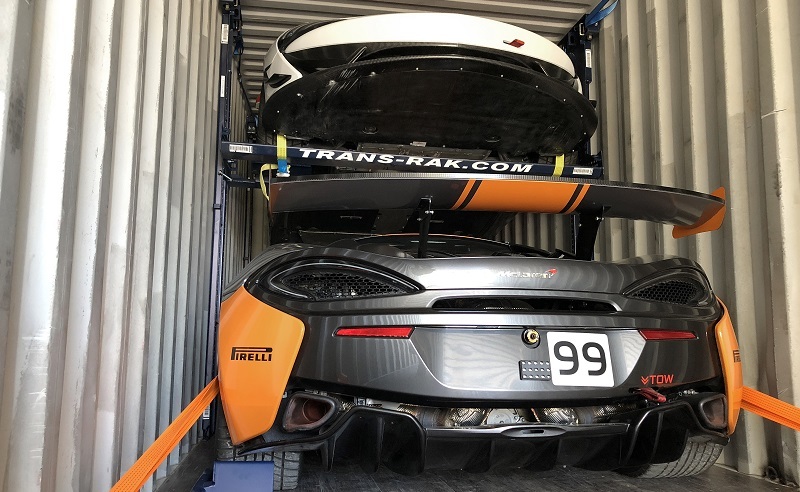 This new product compliments Trans-Rak’s existing racking systems, giving the customer complete choice of either loading inside the container or outside. 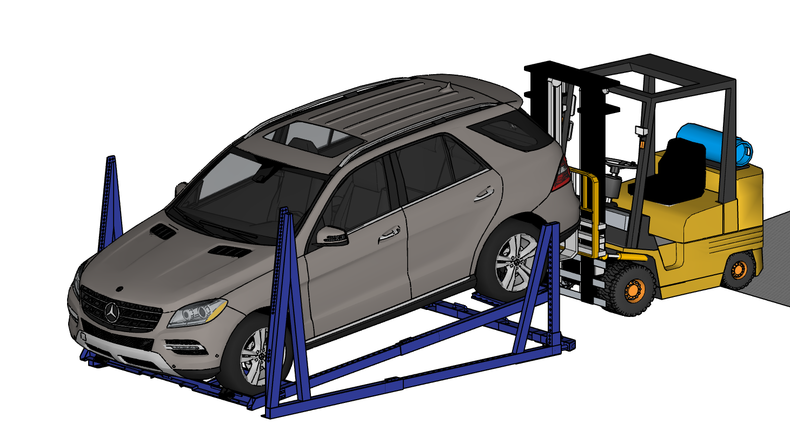 This, along with the DL-RAK for loading cars along the floor of the container and SKD-RAK for loading bodies, completes a suite of products to meet any customer need. 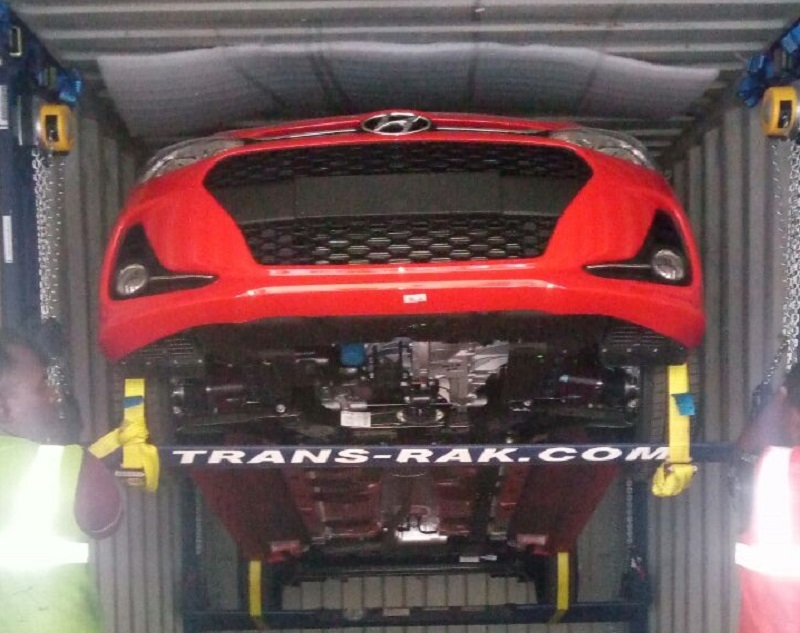 Case Study: The EL-RAK Loads Three Volvo XC60s Into A Single 40 Foot HC Container. 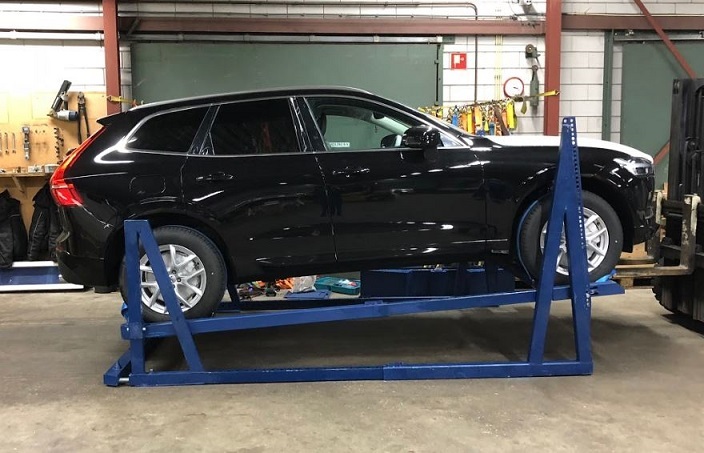 Our new EL-RAK external racking system was put through its paces in a March 2018 trial for Marlog Car Handling (Netherlands). 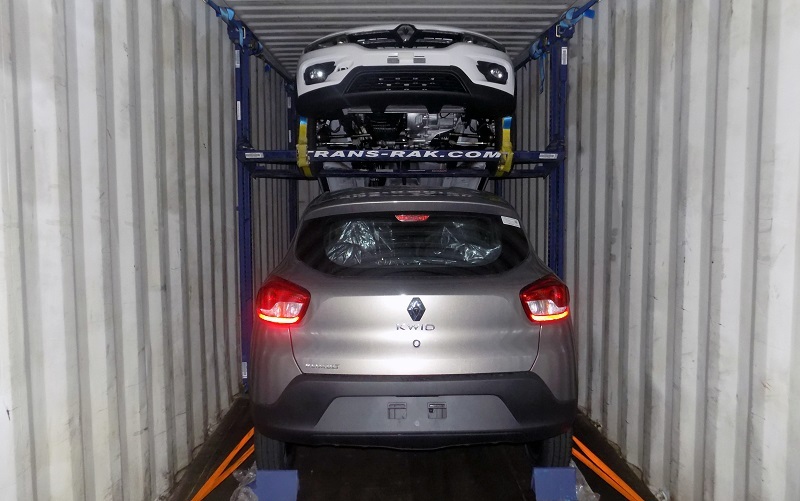 The object was to determine whether or not three Volvo XC60s could be loaded into a single 40 foot HC container. How Do We Achieve Loading Four Cars Into One Container? The EL-Rak is the natural evolution of the R-Rak. Using the same fundamental engineering principles, our latest rack is designed to enhance flexibility. New EL-RAK Available For Purchase! 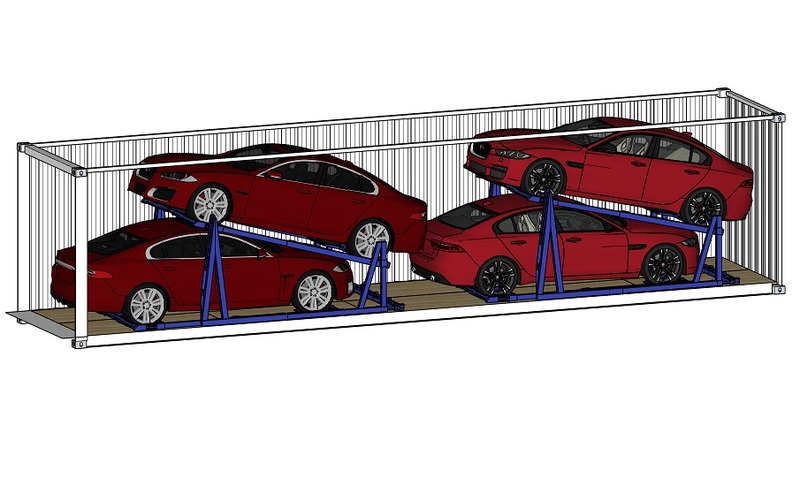 We are delighted to announce that our new external racking solution, the EL-RAK, is available to order now. As regular readers of this blog will know, the EL-RAK has been in development for over 12 months. Development was carried out in consultation with key customers and stakeholders in the industry, and the product has undergone extensive testing and certification before being released to the market. Along with all Trans-Rak products, the EL-RAK is certified for quality internally by Singamas quality controllers and independently inspected by China Classification Society.